Walk into a gun safe shop and you will find unique gun safes. You will find various brands and models with different features though they all seek to deliver on a key objective. Every gun owner must invest in the best gun safe to meet individual need, wants, and preferences. It is not about spending so much but about identifying the best possible gun safe for you as an individual. 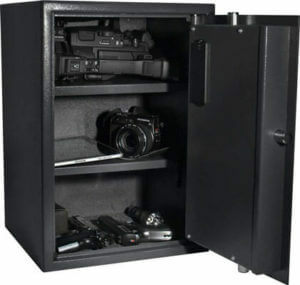 There are different types of gun safes, different sizes, as well as different designs and styles to choose from. The following is a step-by-step guide on what to consider when choosing the best gun safe. The following is a step-by-step guide on what to consider when choosing the best gun safe. Whether you are looking to purchase a gun safe for the home or the office, you must be acquitted with the following things about gun safes and the different options you can exploit. The key objective of a gun safe is to protect your items from theft and exposure to children. Look at the material in use to ensure that thieves and children cannot easily gain access to its content. Check if the material comes with added advantages such as protecting your gun and other items from fire or water. The key objective is to minimize the risk of forced entry. Gun safes come with three major locking systems. This will include key locks, combination locks, and keypad digital keypad locks. Each comes with different advantages and disadvantages. Key locks come at the most affordable whereas the digital locks can be more costly. With the advancement in technology, some gun safes allow you to use your fingerprint as your access code. Whereas some are automated, others are manual. This is one of the most important factors and it will determine the size of the safe. To determine this, look at the number of guns you own. In addition, you can also consider whether you will want to store other items in the safe. Also, ask if you will be acquiring other items in the near future so that you do not keep purchasing different safes all the time. It is recommended that you look for a gun safe that has certification (UL Certification). Underwriter Laboratory (UL) looks into the required standards for housing security storage containers. To guide you, it provides a UL rating on these products. The most difficult safes to break into have a bigger rating. The best gun safe is not always the most expensive gun safe. There are cheap gun safes that deliver on their functionality. It is, therefore, important that you work within your budget while ensuring that you identify the best gun safe within the range you are willing to spend. This will also determine the type of gun safe you can purchase. For example: it goes without saying that biometric gun safes are more expensive than combination gun safes. It is all about identifying the best gun safe for the money without compromising on quality. There are different types of gun safes out in the market with right about every brand pushing its own with the promise to deliver on functionality. Before going out shopping for one, you need to have identified how they function thus deciding which type you are looking for. This narrows down your search greatly. With the advancement in technology, electronic gun safes are gaining popularity in the market as they use a keypad or a touchscreen. Pistol and rifle owners have embraced this type of safes. All you need is the correct number sequence, and you can access its contents. It is easier and faster to change the access codes of an electric lock as opposed to that of a mechanical lock. Even better, some electronic locks have the ability to lock and deny access if someone keys in the wrong access code repeatedly. This is not enough. Other electronic gun safes have the ability to accept different access codes thus allowing a different user to have their own distinct codes without giving one to everyone who should use the gun safe. Despite the different capabilities and features of electric gun safes, they all automatically activate once it is closed. In this, they reduce the risk of accidentally leaving your safe open. These gun safes come with locks that require you input a combination of numbers for it to unlock. 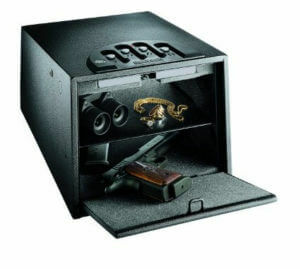 Combination gun safes are popular amongst people with large rifles. The required numbers may be as low as three, but it is recommended that you include one that has more so that it becomes complex. This makes it difficult for people to copy or note your access code combination. When working with this type of gun safes, they ease with operation, as they may not need a power supply. This makes it easy for you to access your content under any circumstance. There is no need to keep replacing the battery. Also, the risk of being locked out in the event the battery fails is not a worry. Even with a difficult situation, it is easier to repair this type of safe lock as compared to electric gun safes. However, it is time-consuming if you are in a hurry to take out your rifle in case of an emergency. Also, the locking mechanism will not automatically lock the door by just closing it. Instead, you will need to turn the dial. They serve the key purpose of keeping any unauthorized persons from accessing the contents in the safe. One key important feature is the fingerprint detection technology. This is the biggest advantage of biometric gun safes. Everyone knows that no one has identical fingerprints to another. In this, you will have exclusive access to your safe thus cutting on the risk of unauthorized access. 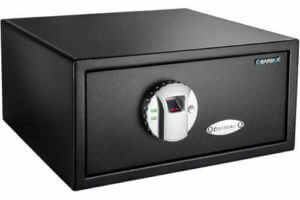 These types of safes are easy and fast to access as long as you are an authorized person. Some safes allow more than one person to register their fingerprint. You do not need to remember any combination or constantly carry a key. However, you must keep in mind that for you to own one, you must spend more than when purchasing the above types of gun safes. Also, there are other hitches such as the possibility of a malfunction as technology is reliant on other factors. The reason you will purchase the best gun safe is to not only protect it from theft but also to uphold its performance by safely and properly storing it. After all, you are looking to find the best gun safe that will serve you in the long-term. Check the following before purchasing your gun safe. Storage is a very important aspect, as you cannot buy a gun safe that has no space to accommodate it. Many a time, many purchase a gun safe and need to store it away from sight. Before purchasing a gun safe, it is important that you first identify where you will store it be it in a cabinet, on a wall, or on a surface in an enclosed room. In his, you must factor in the dimensions you have to work with. Remember, different gun safes come in different shapes and sizes. Some are recommended as car gun safe or as wall gun safe. Every gun owner must invest in a gun safe. It is not enough to just own a gun safe but rather owning the bet gun safe to meet your individual needs, wants, and preferences. There are several factors to consider before settling for a given gun safe. First, you need to understand the different types of gun safes in the market, identify the necessary information you must not compromise on, budget, care, and maintenance, as well as storage of your gun safe. By putting into consideration in all of the factors above, you will be able to identify the best gun safe for you. It is recommended that you search for both consumer and professional gun safe reviews. This will provide a highlight on the pros and cons of the models of the gun safe your search has narrowed down. Finding the final gun safe, which will meet your needs and preferences. Check our recommended gun safe review.